384 pages | 13 B/W Illus. This book provides an in-depth introduction to existential psychotherapy. Presenting a philosophical alternative to other forms of psychological treatment, it emphasises the problems of living and the human dilemmas that are often neglected by practitioners who focus on personal psychopathology. Emmy van Deurzen defines the philosophical ideas that underpin existential psychotherapy, summarising the contributions made by Kierkegaard, Nietzsche, Heidegger and Sartre among others. She proposes a systemic and practical method of existential psychotherapy, illustrated with detailed case material. This expanded and updated second edition includes new chapters on the contributions of Max Scheler, Albert Camus, Gabriel Marcel and Emmanuel Levinas, as well as on feminist contributors such as Simone de Beauvoir and Hannah Arendt. In addition a new extended case discussion illustrates the approach in practice. 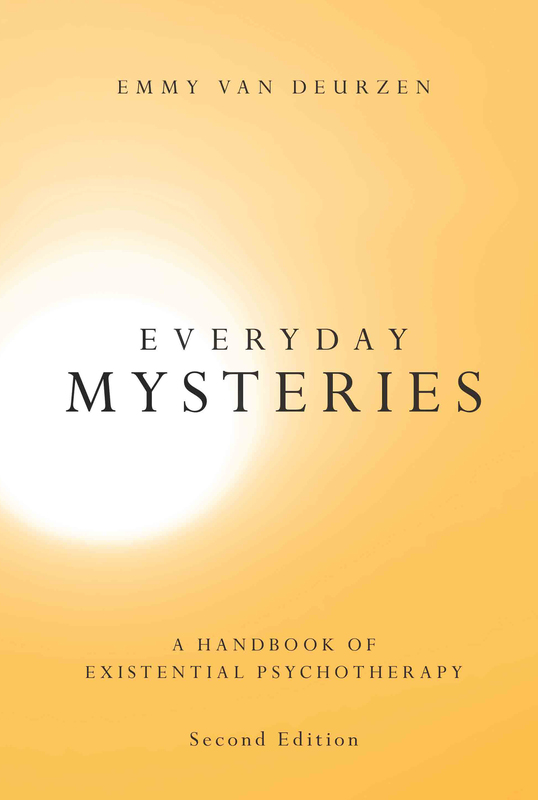 Everyday Mysteries offers a fresh perspective for anyone training in psychotherapy, counselling, psychology or psychiatry. Those already established in practice will find this a stimulating source of ideas about everyday life and the mysteries of human experience, which will throw new light on old issues. Preliminary Remarks. Preface. General Introduction. Part I: Theory: Philosophical Underpinnings. Sören Kierkegaard: A Very Individual Approach. Friedrich Nietzsche: With Passion and Intensity. Edmund Husserl: Science of a New Psychology. Karl Jaspers: The Way to Wisdom. Martin Heidegger: Blueprint for Living. Martin Buber: Human Relations Reconsidered. Max Scheler: The Human Heart and Inter-subjectivity. Jean-Paul Sartre: To Be or Not to Be. Maurice Merleau Ponty: Embodied Living. Paul Tillich: A New Spirituality. Other Philosophical Contributions. Female and Feminist Contributions. Part II: Existential Dimensions: A Map of the World. Worldviews, Paradoxes and Dialectics: A Copernican Revolution. The Physical Dimension: Being with Nature. The Social Dimension: Being with Others. The Personal Dimension: Being with Oneself. The Spiritual Dimension: Being with Meaning. Part III: New Foundations for Psychotherapy. Introduction. Karl Jaspers: Psychopathology. Eugene Minkowski: The Dimension of Time. Jacques Lacan: The Role of Language. Ludwig Binswanger: The Beginning of Existential Therapy. Medard Boss: Daseinsanalysis. Victor Frankl: Logotherapy and the Search for Meaning. The American Contribution: May, Bugental, Yalom and Others. Thomas Szasz: Social Dimension of Therapy. Ronald Laing: Anti-Psychiatry. The British School of Existential Analysis. Philosophical Consultancy. Part IV: Parameters of Existential Psychotherapy. Objectives of the Approach. Ground Rules of Existential Work. Consciousness and the Unknown. Therapeutic Dialogue. The Dynamic, Multiple and Changing Self. Part V: Case Illustration. Rita’s grief. Conclusion. Emmy van Deurzen is an existential psychotherapist, counselling psychologist and philosopher, who has published numerous books and who lectures internationally on a broad range of existential topics. She was the founder of Regent’s College School of Psychotherapy and Counselling, of the Society for Existential Analysis and of the New School of Psychotherapy and Counselling in London, which she continues to direct. Her private practice, Dilemma Consultancy Ltd. is based in Sheffield and London.